Fyodor Dostoevsky (1821 - 1881) is a celebrated Russian novelist, essayist and philosopher who wrote about the troubling political, social and spiritual experiences of Russians in the 19th century. He wrote eleven novels, three novellas, and seventeen short stories. His most significant contributions to world literature include Crime and Punishment (1866), The Idiot (1869), and The Brothers Karamazov (1880). 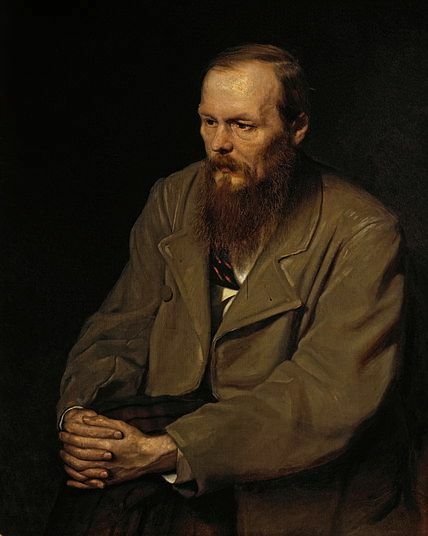 Dostoevsky published his first novel, Poor Folk (1846), when he was 25, after getting an engineering degree and translating literature for cash on the side. Based on its merits, he gained entry into St. Petersburg literary circles, but in 1849 was arrested as part of the Petrashevsky Circle, a secret society of liberal utopians that also functioned as a literary discussion group. Facing death sentences, in front of the firing squad, Tsar Nicholas had a letter delivered which reduced the group's sentence to four years hard labor in Siberia. Suffering from epileptic seizures that intensified during and after prison, Dostoevsky's military service was reduced, and he traveled through Western Europe, he developed a destructive gambling habit. Ironically, Dostoevsky hastily finished his novel The Gambler so he could pay off his own gambling debts. Note from AL: For purposes of classification, A Gentle Spirit, Dostoevsky's short novella, is offered as a book, though it could just as easily stand in the short story genre.